Pink Diamonds have always been very special. Pink Diamonds are rare and extremely desirable. A few of the stones have ever exceeded the size of 5 carats. Still a few are still displaying a strong Pink hue. Throughout the history the Pink Diamonds have been presented to the Royals at their weddings. The Williamson, presented to Queen Elizabeth II at her wedding, the Hortense from the Crown Jewels of France, the Darya-i-Nur from the Iranian Crown Jewels, to name a few. The Pink Diamond is the Star of the modern ages. 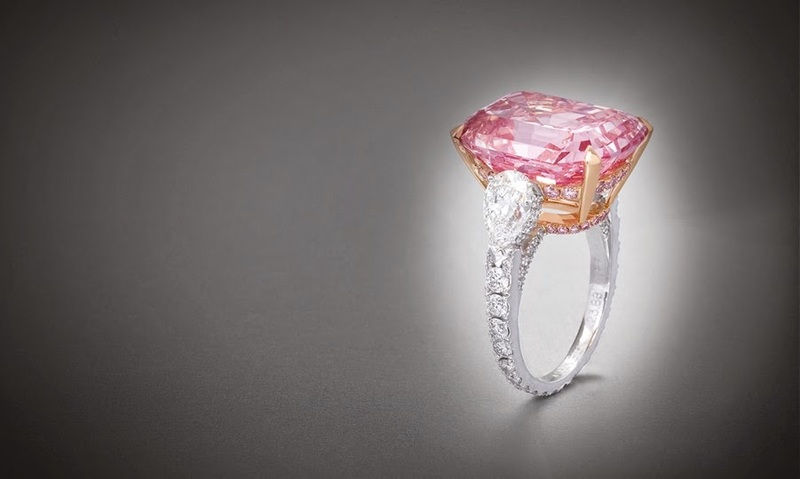 The Pink Diamond was sold in 2010 at Sotheby Geneva at the highest price ever paid at an auction: USD$ 46,158,674. 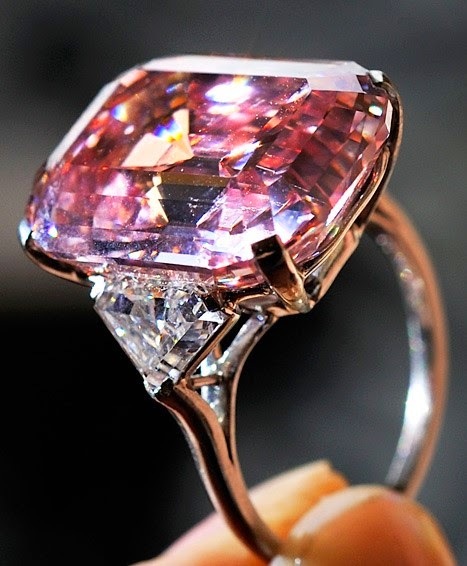 The Pink Diamond, which was mounted into a ring, was hidden away for 60 years, was owned by Harry Winston. The incredible 24,78 carat end up to be acquired by Laurence Graff. It was not easy to process the Pink Diamond, since it displayed 25 natural flaws. The risk was enormous. Just one wrong movement and the Diamond would shattered and the world most beautiful and expensive Diamond will be ruined. With care the Graff master cutters have succeed to remove the flaws and maintained the shape and symmetry. The Pink Diamond kept his beauty. 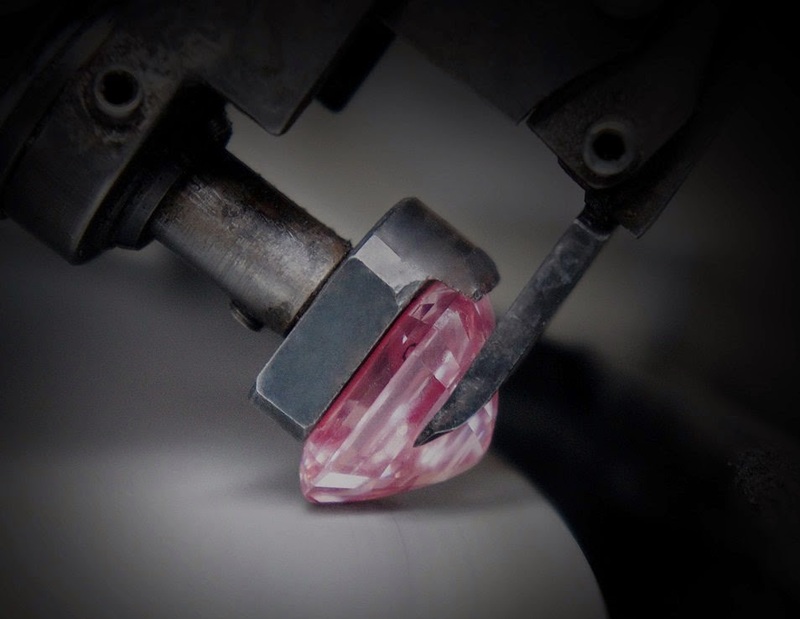 After weeks of hard work the Pink Diamond displayed a new vivid colour and reaching a level of the purest perfection. The Pink Diamond was sent to the Gemological Institute of America (GIA) for Certification. The Institute confirmed that there was just a small 1 carat lost from the Diamond and the Pink Diamond was vivid and entirely flawless.